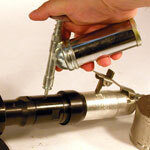 Air tools need lubrication to keep them at their working best. Follow our tips to make sure you're on the right track. Meet the new collet type and see how you can maximize its benefits. 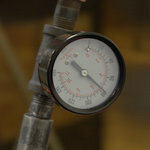 Here is an easy way to see if you are feeding your tools enough air. Have a topic you would like to see discussed? Email us! 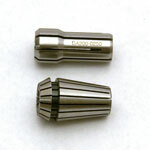 Top Cat Air Tools® are manufactured by T.C. Service Co.
38285 Pelton Road, Willoughby, OH 44094 U.S.A.